This Pat Bagley cartoon appears in The Salt Lake Tribune on Sunday, Sept. 16, 2018. This Pat Bagley cartoon appears in The Salt Lake Tribune on Friday, Sept. 14, 2018. This Pat Bagley cartoon appears in The Salt Lake Tribune on Thursday, Sept. 13, 2018. This Pat Bagley cartoon appears in The Salt Lake Tribune on Wednesday, Sept. 12, 2018. This Pat Bagley cartoon, titled “The Swamp, Utah Edition,” appears in The Salt Lake Tribune on Tuesday, September 11, 2018. This Pat Bagley cartoon appears in The Salt Lake Tribune on Sunday, Sept. 9, 2018. This Pat Bagley cartoon appears in The Salt Lake Tribune on Friday, Sept. 7, 2018. This Pat Bagley cartoon appears in The Salt Lake Tribune on Thursday, Sept. 6, 2018. 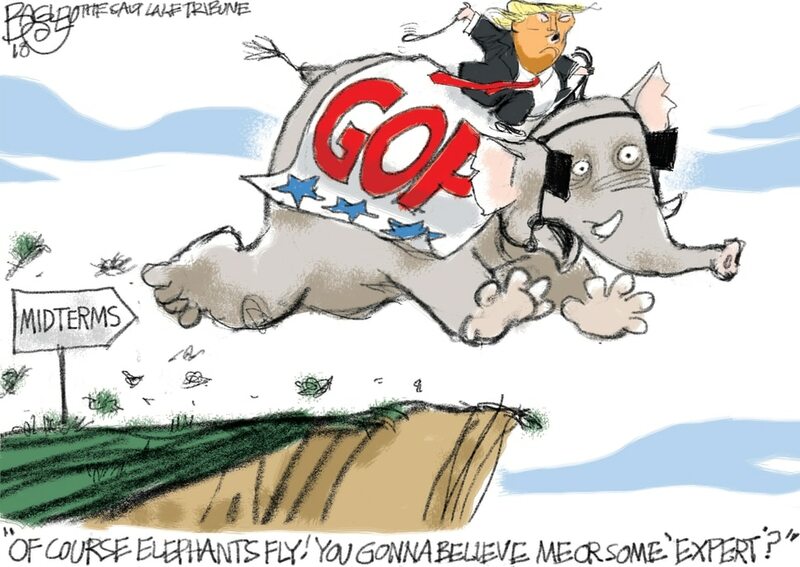 (Pat Bagley | The Salt Lake Tribune) This cartoon, titled Back to the Back Alley, appears in The Salt Lake Tribune on Wednesd... 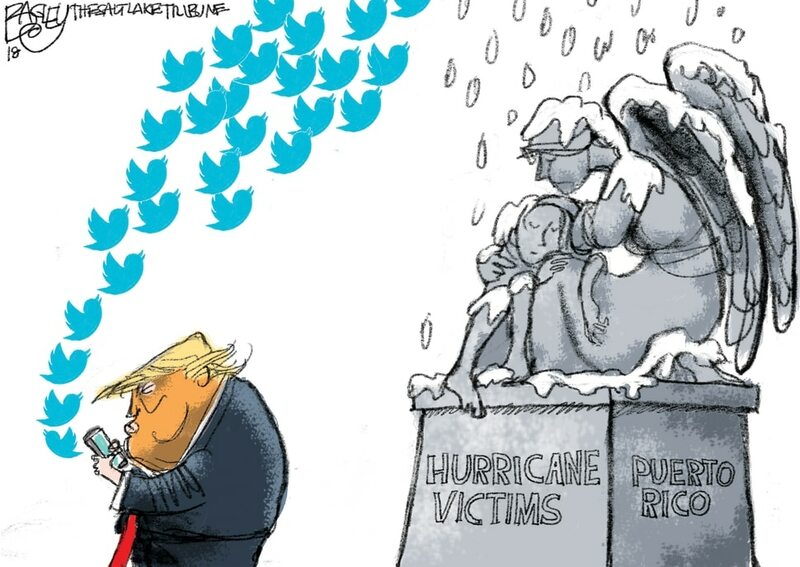 This Pat Bagley cartoon appears in The Salt Lake Tribune on Sunday, Sept. 2, 2018. This Pat Bagley cartoon appears in The Salt Lake Tribune on Friday, Aug. 31, 2018. This Pat Bagley cartoon appears in The Salt Lake Tribune on Sunday, Sept. 16, 2018. This Pat Bagley cartoon appears in The Salt Lake Tribune on Friday, Sept. 14, 2018. This Pat Bagley cartoon appears in The Salt Lake Tribune on Thursday, Sept. 13, 2018. This Pat Bagley cartoon appears in The Salt Lake Tribune on Wednesday, Sept. 12, 2018. This Pat Bagley cartoon, titled “The Swamp, Utah Edition,” appears in The Salt Lake Tribune on Tuesday, September 11, 2018. This Pat Bagley cartoon appears in The Salt Lake Tribune on Sunday, Sept. 9, 2018. This Pat Bagley cartoon appears in The Salt Lake Tribune on Friday, Sept. 7, 2018. This Pat Bagley cartoon appears in The Salt Lake Tribune on Thursday, Sept. 6, 2018. 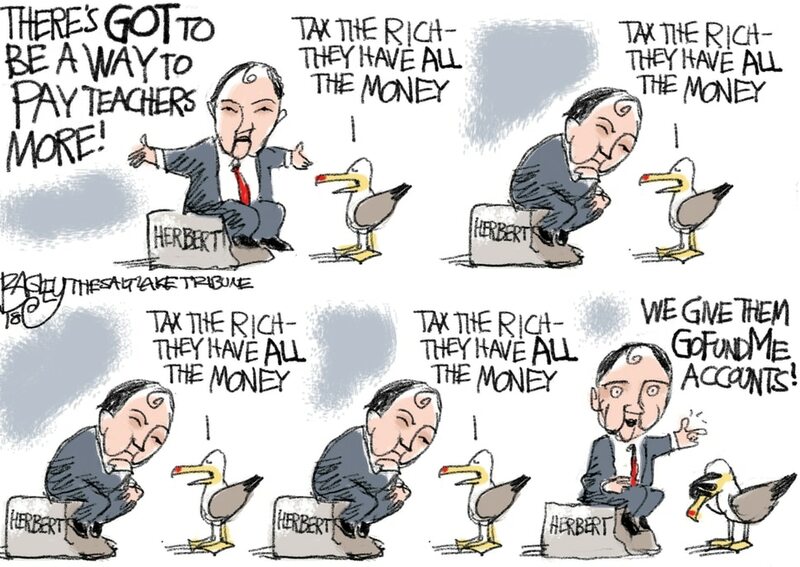 (Pat Bagley | The Salt Lake Tribune) This cartoon, titled Back to the Back Alley, appears in The Salt Lake Tribune on Wednesday, Sept. 5, 2018. This Pat Bagley cartoon appears in The Salt Lake Tribune on Sunday, Sept. 2, 2018. This Pat Bagley cartoon appears in The Salt Lake Tribune on Friday, Aug. 31, 2018.